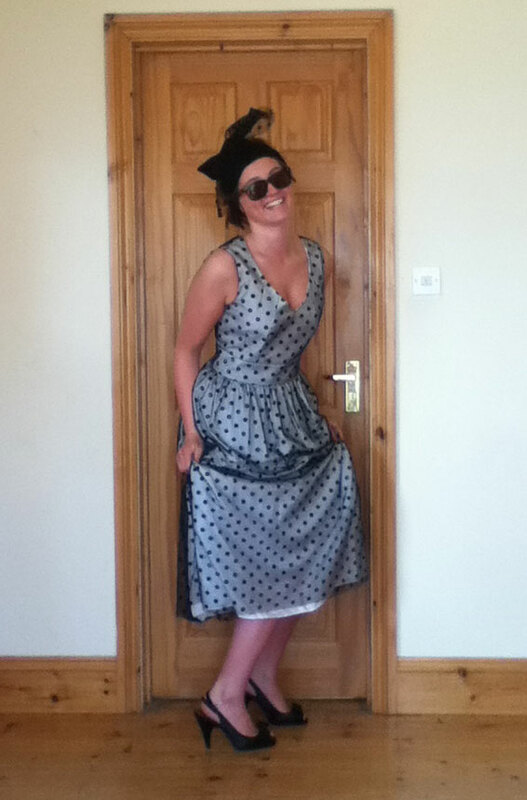 Abi wearing her fitted bodice with gathered skirt dress made in white silk and sheer black spotty tulle, made by Angie. Pattern Vogue V8443 (bodice) and V2962 (skirt). It can be a bit of a fiddle, but amalgamating two patterns into one can solve the problem of never finding exactly what you are after. It’s a good idea to make a toile first to check there are no nasty surprises (you should ALWAYS do this, but it is especially important when you are tinkering).